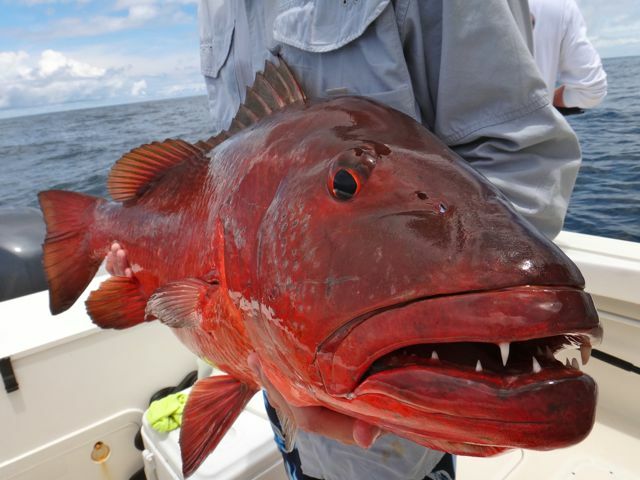 The Pacific cubera snapper looks quite like the cubera snapper (Lutjanus cyanopterus) of the western Atlantic, the “river” or”mangrove red” snapper. 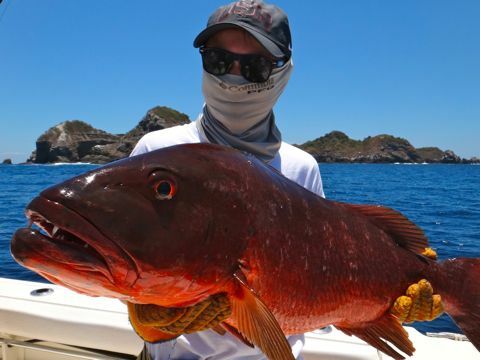 These snappers and some others around the world, grow to sizes approaching or exceeding 100 lb (45 kg). 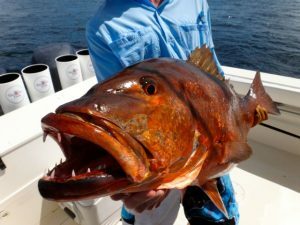 All have deep reddish bodies, 4 large canine teeth, stubby gill rakers, and almost identical body and fin shapes, habitat, and behavior. 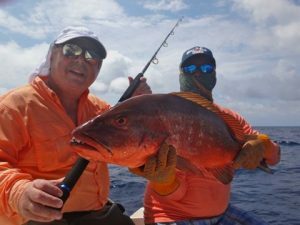 Growing to at least 80 lb (36 kg), it is the largest of the nine species of snapper that occur in its range. The most prominent and recognizable feature is the 4 large canine teeth, two in the upper jaw and two in the lower jaw. Currently this is a catch, photo and release species due to it's numbers and growth rate. 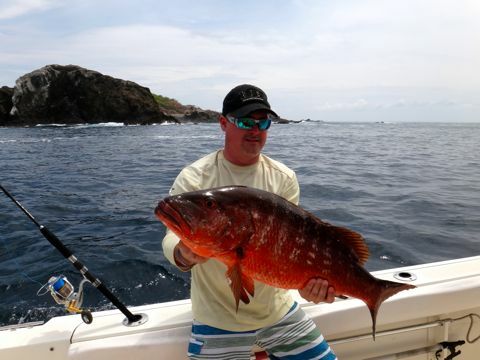 Want more Cubera Snapper Information?